Poster showing composite image of the Placerita Oil Field in Newhall. Exact use unknown. 11x28 inches, coated stock, quarter-folded to 7x11 inches. Located 30 miles north of Los Angeles, California, the recently discovered Placerita Canyon field had 102 pumping wells, 38 rigs drilling and 21 locations made awaiting equipment when this remarkable composite picture showing the entire field was taken. This hustling activity is on 80 acres of land where drilling is on parcels as small as 33 feet by 125 feet. The oil pool being tapped has a yield of 23° gravity oil at a depth of approximately 1900 feet. 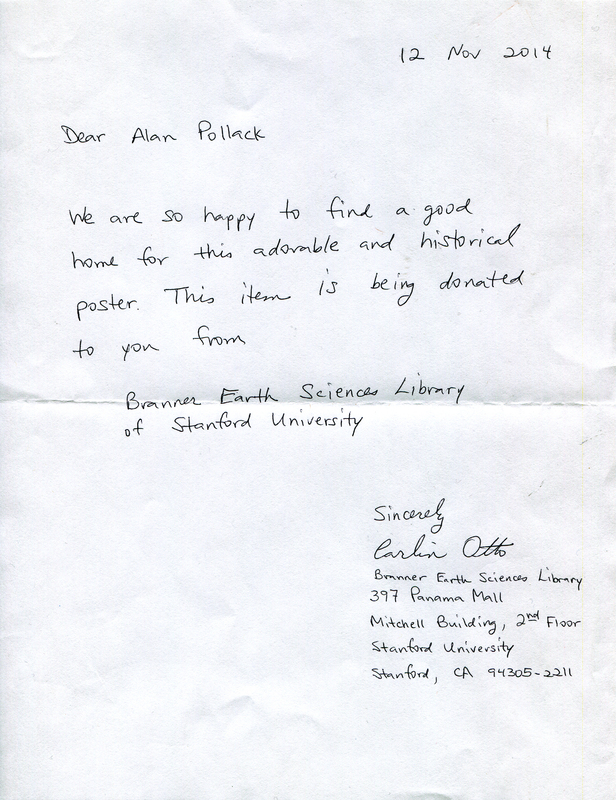 Item donated to the Santa Clarita Valley Historical Soceity in November 2014 by the Branner Earth Sciences Library at Sanford University. Read donation letter here. HS4901: 19200 dpi jpeg from original item in SCVHS collection.